BATMAN – The Telltale Series: New World Order Review | Nerd Much? 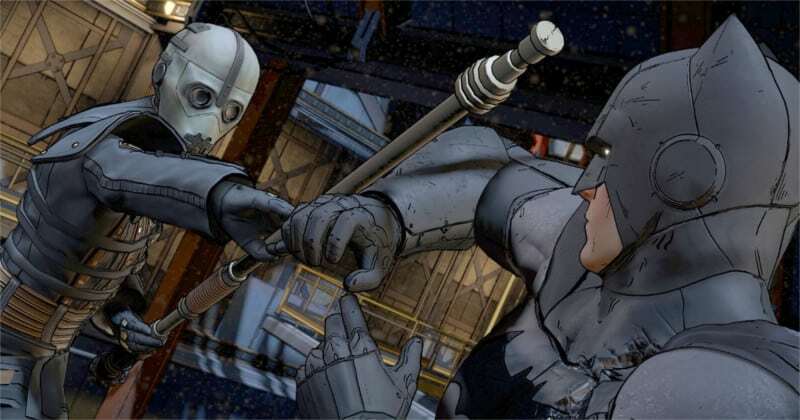 As we make our way over the halfway point this season, Batman – The Telltale Series: New World Order continues to deliver a solid outing for the caped crusader. 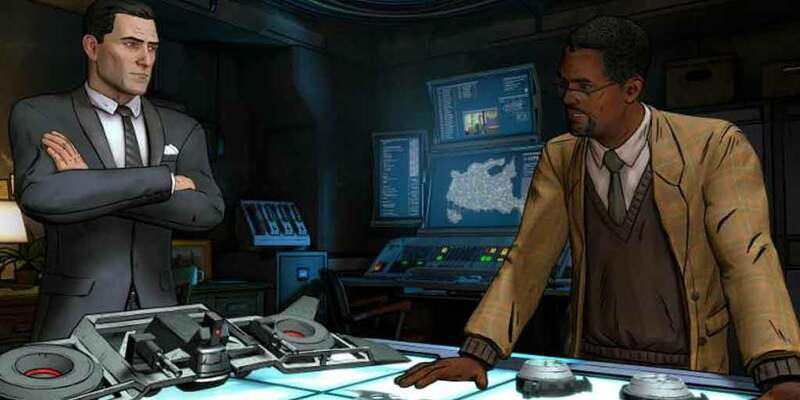 Despite some severe technical issues, Telltale is still able to provide us with a surprising story and decision that make us put the controller down. Each episode this of Batman – The Telltale Series has built upon the one before. The first episode, Realm of Shadows, brought us into Telltale’s version of Gotham. Through a lot of exposition, we learned that our expectations as Batman fans would be played with. In Children of Arkham, we got a better idea of where the story was going. We became the Bat, and decisions felt more impactful. Now, in New World Order, our relationships have been built up, and every decision must be well thought out. From loading the episode up until the credits rolled, our decision felt like they had substantial weight. Especially the first major decision of the game. We literally put the controller on the ground while we weighed our options. On one hand, we can help out a character who seems to be in much more danger. However, by helping the other character, we can possibly prevent harm later down the line. We know it sounds vague, but we really don’t want to spoil the choices here. Even the smaller choices have weight behind them. Many of the conversations feel like Bruce Wayne is on edge. This makes sense, his entire perception of his family is being torn apart. This makes every conversation thread feel big. Do you want Wayne to let it all out or do you feel the need to maintain yourself to save what relationships you have left? This brings us to a complaint some have had with New World Order. You play as Wayne a lot. Not just a lot, pretty much 80% of this episode. Frankly, we love it. We’ve played as Batman in many games before. Telltale has finally found a way to create a compelling Bruce Wayne story. In fact, the Batman segments are probably our least favorite parts about the series so far. Don’t get us wrong, those segments are still great. They help break up the episode so it doesn’t feel like dialogue the whole time. An action scene here, a detective scene there, but they don’t compare to the tough choices you make as Bruce Wayne. Despite the tough choices, we can already tell that they don’t have a huge impact on the story. This is a Telltale game after all. We are still going from A to Z, but we get to choose what letters we see on the way there. No matter how many times we try to help a character, they still seem to suffer mentally. It’s a bit frustrating, but we understand that Telltale has a story it wants to tell. What does affect our enjoyment is the game’s engine. Everyone knows that Telltale games don’t run well. At this point, we worry that Batman – The Telltale Series might be the worst running game they have ever produced. We are playing on the PS4, and the game typically stutters along through the scenes. It isn’t always bad, but we did experience the game crashing on us once during New World Order. Being forced to replay a section of the game after losing your progress does a lot to pull you out of the experience. Still, this has proved to be one of the more interesting Batman stories in recent memory. This episode continues to defy our expectations after growing up with the character. Characters you thought you knew have changed, and that is really refreshing. Typically licensed games play it safe as to not alienate the fan-base. Telltale thinks about it differently. They play with your fan expectations and build a better story from it. After playing New World Order, we aren’t sure who we can trust anymore. If you’ve ever wanted a truly great Bruce Wayne story, Batman – The Telltale Series is more than worth the performance price of admission.